I started off my morning with my usual Iced Coffee, and today was a big editing day for me as I have a ton of videos that I filmed while Matthew was here but was unable to edit and upload. Because of my copious amounts of editing that needed to be done I missed breakfast and had a small smoothie that I bought while Matthew was here visiting, unfortunately I bought them at costco and still have about 30 of these little guys left. 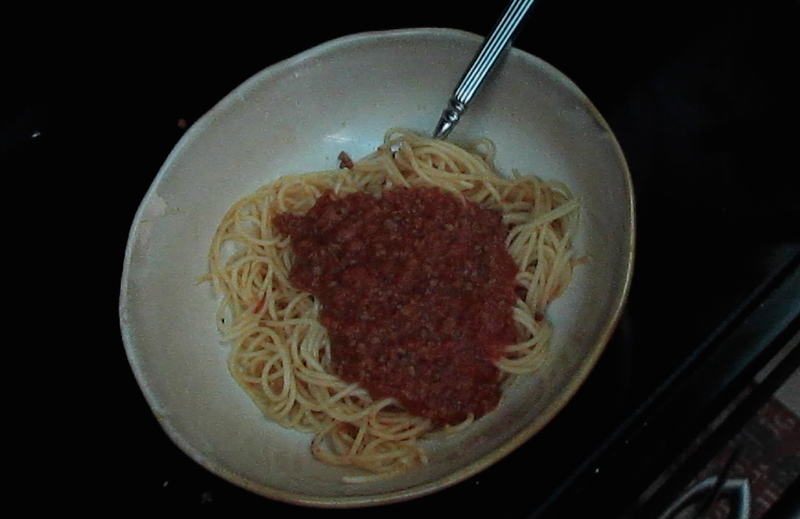 For lunch I had some left over angel-hair pasta with meat sauce, this is from a restaurant here called Assagio’s and they have the best meat sauce ever!!! For dinner tonight I had a mundo burrito from Taco Del Mar, it was a spinach tortilla with black beans, lettuce, cheese, pico de gallo, ground beef, and a side of sour cream and guacamole. For dessert I had 6 fun size chocolates, these too are left overs of Matthew’s and I am so glad they are gone now because if theres chocolate in the house I will consume it hahaha.